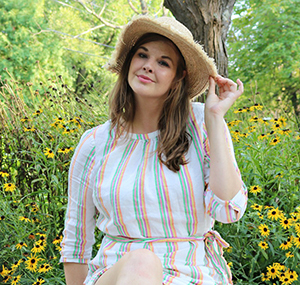 With several weeks before fall, these summer sundresses under $100 are sure to come in handy! Hello there, dreamers! I feel like it’s been a hot minute since we had a good ole chat about style around here. Yes, I’ve been a bit swept away by makeup lately but don’t you fear…my fashion-loving heart is still here and going strong. Over the weekend I had a good little hunt around the internet for some new summer styles to carry me through the next couple months. 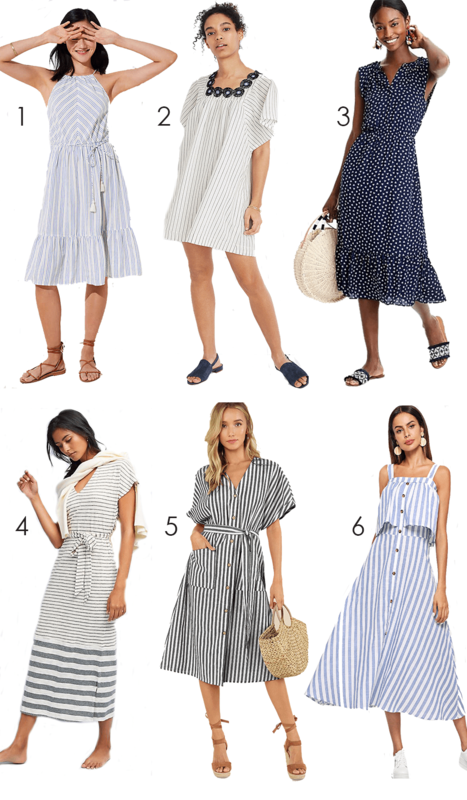 After having a nice look around for the latest in summer dress, patterns & styles, what I found was pretty remarkable – dozens upon dozens of darling sundresses under $100! Can you believe it? I don’t know about you, but one of my biggest style pet peeves is when people look at you in a dress and sneer that you’re dressed too fancy. Well poo on them, because in my book…there’s absolutely nothing more comfortable than a dress, particularly in the summer time. 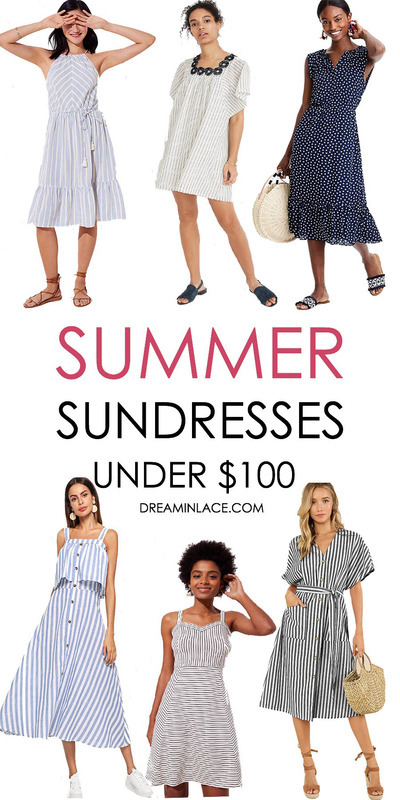 And so it definitely goes without saying that all of these summer sundresses are both under $100 AND comfortable. When it’s hot, humid and you feel like you’re suffocating on humidity – take comfort in knowing that you look great in the meantime. Are you ready to see some darling sundresses? I thought you were. Enjoy a selection of favorites from around the web below and be sure to let me know which one most catches your fancy. 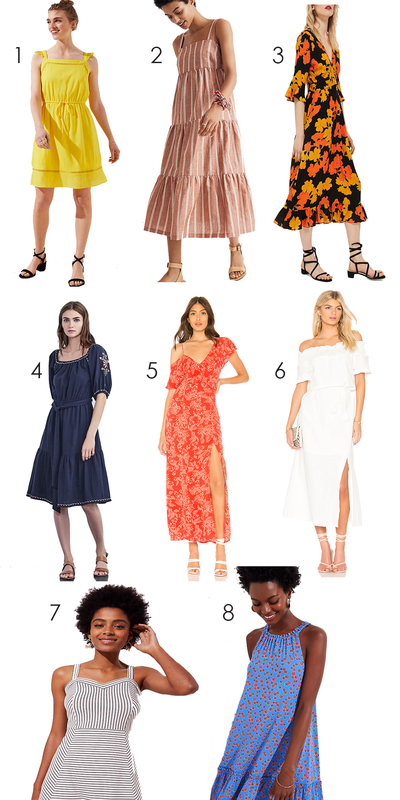 Of all the summer sundresses under $100 above, probably the ones most surprising to me are from SheIn. No, not because of their affordable prices of course…but in how well made they appear. With SheIn, and other brands like them, I always feel like you’re taking a gamble on how well made a garment actually will be. Sure, the prices are fantastic but in the end is that worth it if the quality isn’t up to snuff? 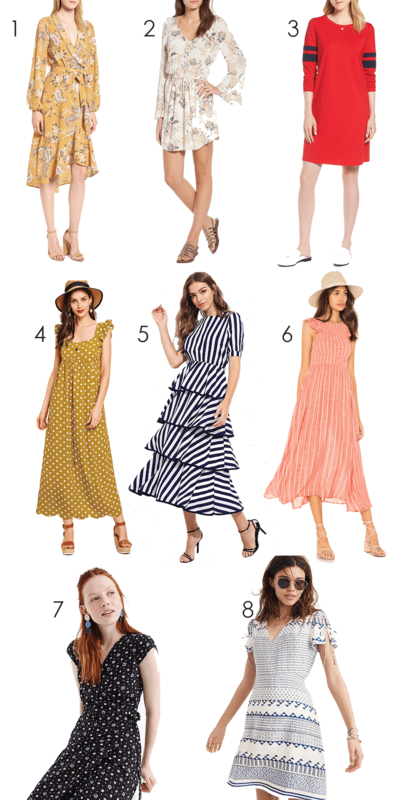 Well, after placing a couple successful orders from SheIn I jumped in and ordered the striped tiered dress above as well as a couple other bits. Stay tuned, because one way or another I’m going to follow up this post with an update on how everything from SheIn turned out. Beyond that, I of course snagged a dress from Nordstrom and J.Crew. And I’ve got my eyes set on a few others. What can I say? With summer not going anywhere for a while, I’m going all in on sundresses! Thanks so much for reading! I’m off to drink some Pinot Noir and watch the latest episode of Real Housewives of Orange County. Who knows, perhaps more online shopping is in my future. Why not? Be sure to share it with a friend! Also, join my mailing list so you receive Dream in Lace updates straight in your inbox every Wednesday. The Only Palette You Need to Buy This Summer?